Your dentures should fit securely on your gums. However, under some circumstances they might become loose and not fit as well as they did when you first got them. Loose dentures are common, but there are some things you can do to help to maintain a comfortable and fit. Why have my dentures become loose? There are a number of reasons that your dentures could become loose. 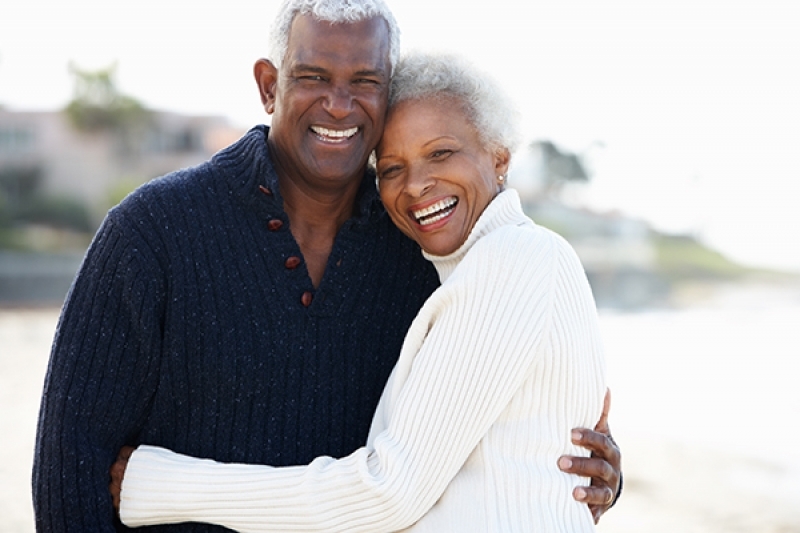 The most common reason for loose-fitting dentures is a process known as bone resorption. Bone resorption is when your gums begin to shrink because they no longer support your teeth. To help prevent bone resorption, make a point of using your jaws as much as possible. For example, chewing solid foods should help to keep your gums strong and healthy. In general, eating a nutritious, balanced diet is essential in preventing resorption. Another common reason that dentures can become loose is just ordinary day-to-day wear. To minimize this, be sure to practice good denture care, including taking your dentures out each night. How can I tell if my dentures are loose? There are a number of signs that might indicate that you have loose dentures. If your dentures are loose fitting, you could find that they slip when you speak or eat, and you might notice a clicking sound when you speak, as well as some slight discomfort. Over time, you could even develop mouth sores and have a hard time eating. If you notice any signs that your dentures might be loose, please come visit your dentist at Cloverdale Crossing Dental Group in Surrey as soon as possible. We might prescribe a denture adhesive, or your dentures may need to be repaired or replaced.